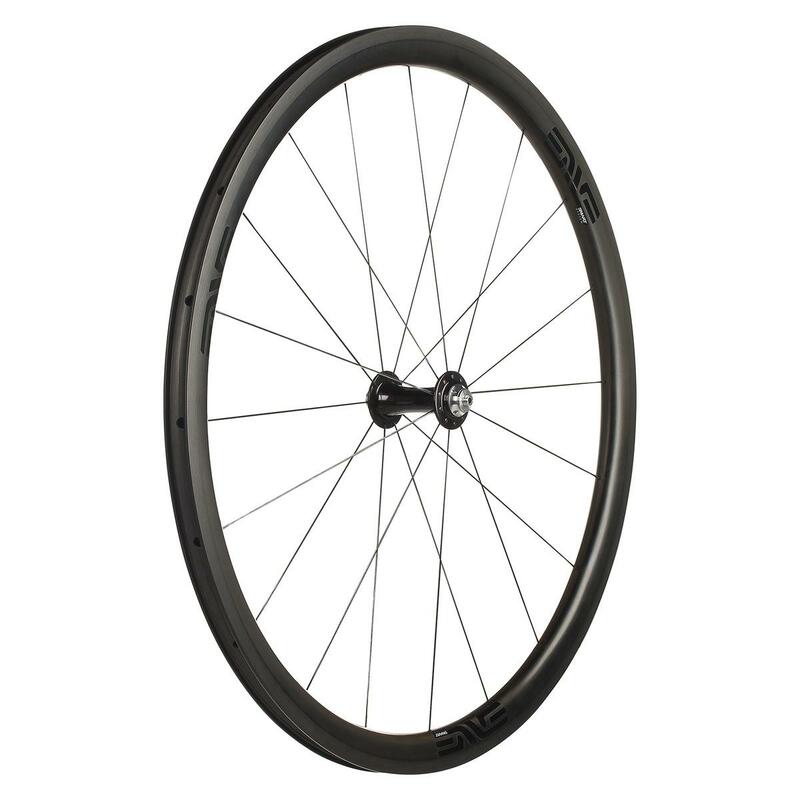 ENVE describe this as a "climbing wheel with an aero advantage, designed to be ridden in the mountains" - we'd go a bit further than that and say it's one of the best all-round wheelsets for putting on the miles in a wide range of terrain. 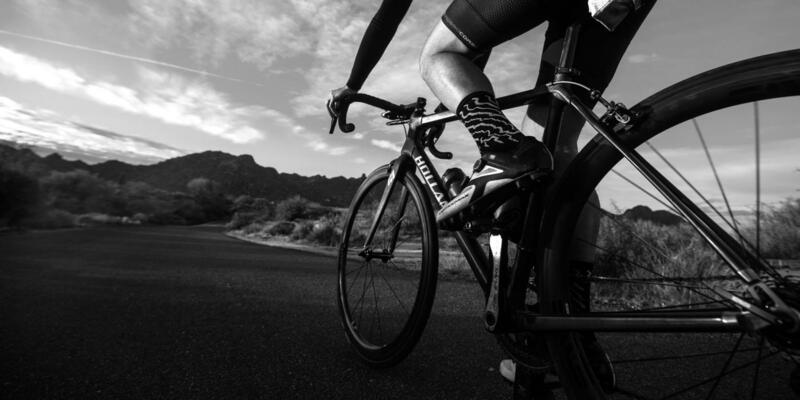 Light enough to climb with ease, aero enough to make a real difference. If you look through our build gallery you'll see just how deservedly popular a choice this wheelset is. Can be run tubeless or with tubes, and optimised for maximum aero benefit with 25mm tyres (although it will happily take 23mm-28mm). 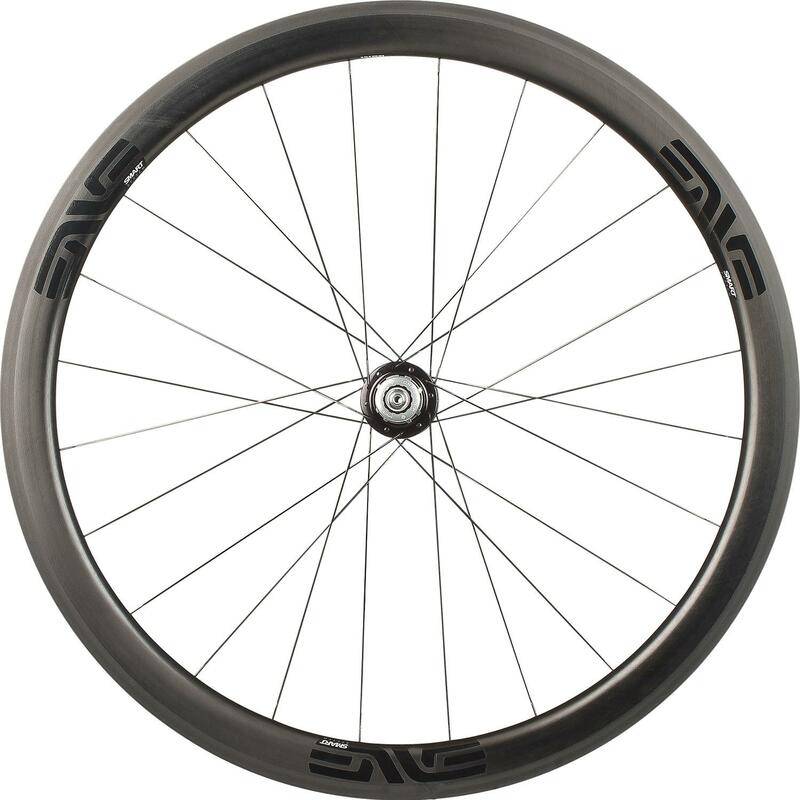 "Since its introduction in 2009, the Smart ENVE System 3.4 has established itself as ENVEs most versatile and consequently most popular carbon fiber aero road wheelset amongst road cyclists of all abilities. 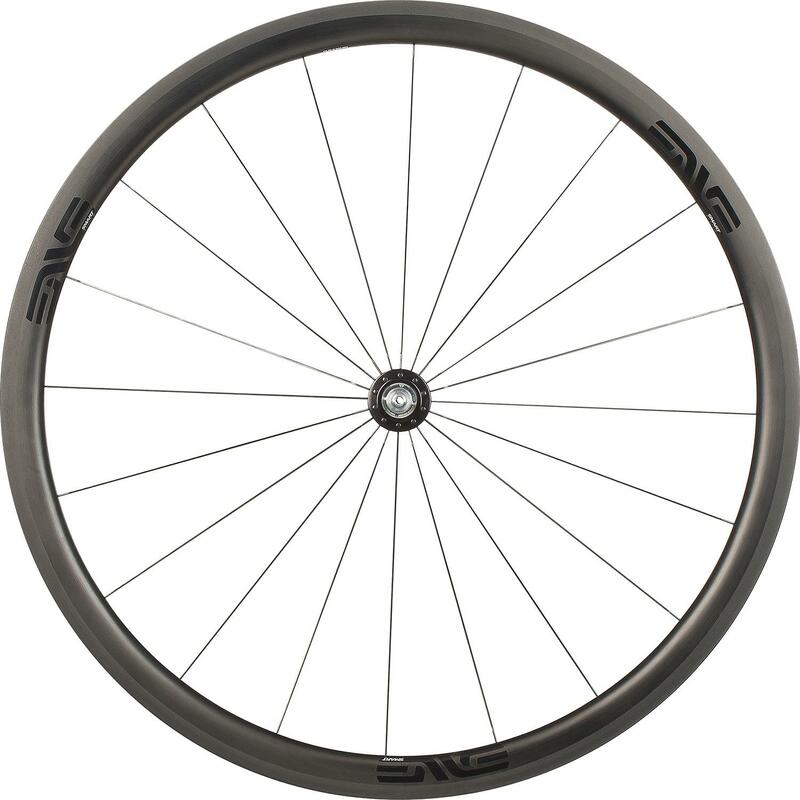 The SES 3.4 is wider than its predecessor (29mm wide external, 21mm internal) to improve rolling resistance and improve aerodynamics for use with 25mm tires. 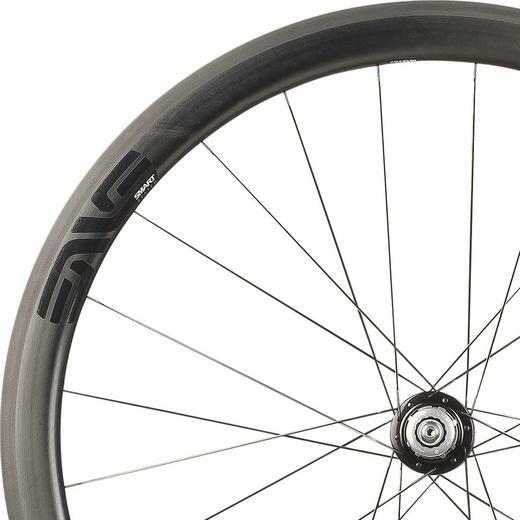 Like all SES wheel models, the SES 3.4 features dissimilar rim shapes and geometries between front and back wheels to maximize aerodynamic efficiency and rideability in variable wind and weather conditions. 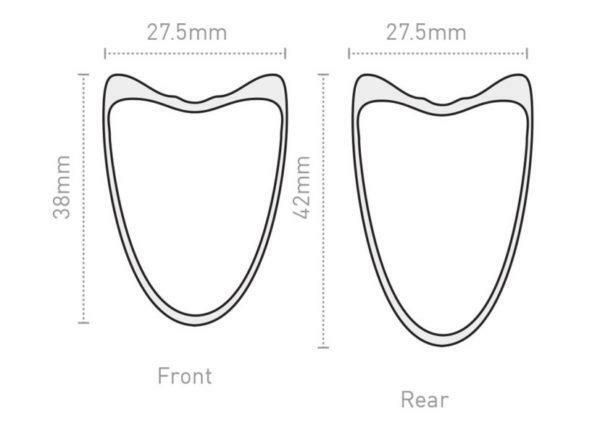 The front rim is 38mm deep and shallower than the rear rim to aid in cross wind stability while rear rim is 42mm deep and therefore improves overall airflow attachment. For riding in mountainous terrain where heavy braking is required, the SES 3.4 features a high temperature resistant resin system and ENVEs molded in brake track technology to ensure rim integrity and precision braking when and where it is needed most, in mountainous terrain." 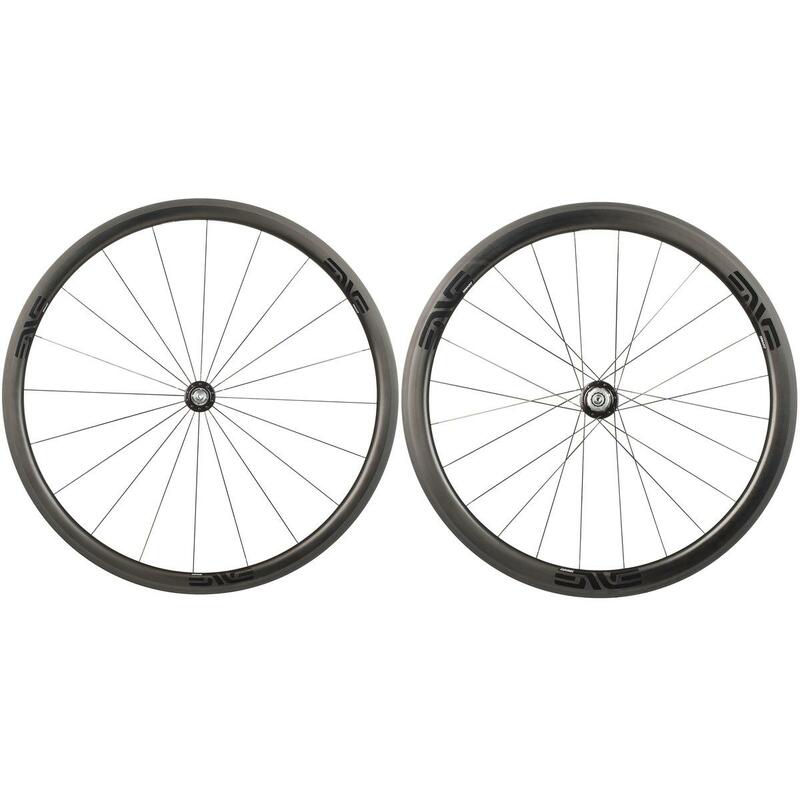 Wheel weight with R45 hubs: Front: 605g / Rear: 752g (Pair: 1357g).